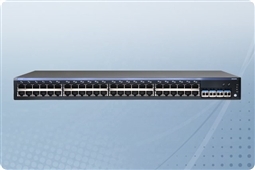 The Juniper Networks EX2200 Series Ethernet switches are a compact, cost-effective, and high-performance standalone solution for access-layer brand office and campus network deployments. These fixed-configuration models feature complete Layer 2 and basic Layer 3 switching capabilities, as well as Virtual Chassis technology, to allow up to four interconnected switches to be managed as a single logical device. These models are designed with operational simplicity in mind, with features like fixed power supply and uplink ports, as well as a front panel mode button that offers a simple interface for bringing devices up and selecting LED modes. Dedicated rear panel ports include an RJ-45 Ethernet port for out-of-band management, as well as a USB port to easily upload the Junos operating system and configuration files. The compact 1U form factor, as well as 10-inch depth deliver a compact, low power, and low acoustics solution ideal for open office deployments, as well as crowded wiring closets where space and power are at a premium. 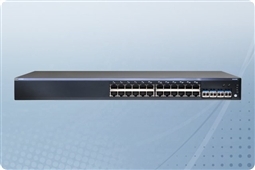 All models feature four front panel small form-factor pluggable transceiver (SFP) GbE uplink ports (optics purchased separately) for high-speed connectivity to upstream devices.